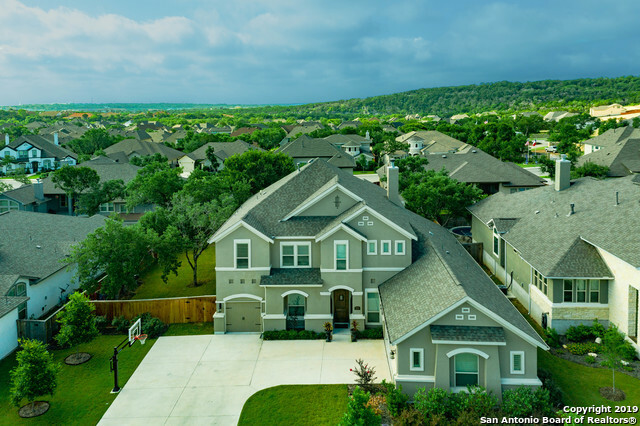 All SHAVANO HIGHLANDS homes currently listed for sale in San Antonio as of 04/24/2019 are shown below. You can change the search criteria at any time by pressing the 'Change Search' button below. "Simply remarkable property in pristine condition. Graceful lines & elegant design allows you to entertain endlessly. Get comfortable on the back patio complete with frplc & expanded deck. 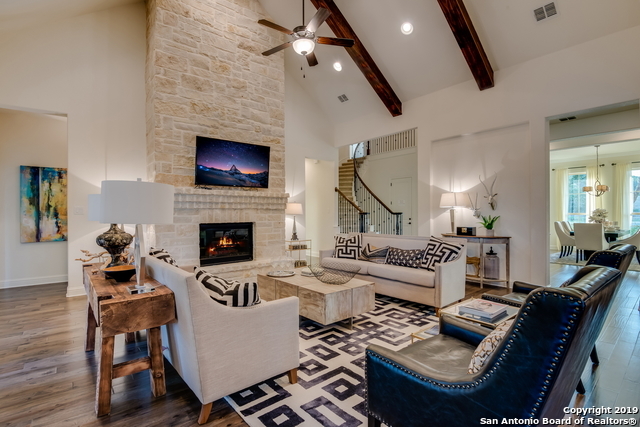 Spacious living area w/an abundance of light & stacked stone frplc. Inviting kitchen offers gas cking, double ovens, built in fridge, plus never-ending storage. Wood flrs on main level traffic areas. Tranquil mstr retreat showcases luxury bath & generous walk-in closet. Secondary guest suite down. Pride of owne"
"Gorgeous Rialto home in sought after Shavano Highlands. Interior appointments include four bedrooms three full bathrooms and one half bath, formal dining, study, game and media room. Custom accents can be found throughout to include stone/rock entryways, custom cabinetry, hardwood and tile flooring. An oversized island can be found in the kitchen, which also features a gas range and stainless steel appliances. Outside is a large covered patio with a fireplace that is perfect for entertaining - "
"David Weekly- Large/small master; 2.5 bath down; study/office & mud room. 2nd floor has 2 BDs, 2 baths; sitting/office area. Facing East; top quality upgrades; 20' rock FP; double staked upgraded maple cabinets, fridge enclosure; top group granite countertops w/10' granite island; 8' front door; tinted windows; sealed floors; sprinkler system; water softener; SS appliances; double crown molding; master bath has tub and walk thru shower; covered back patio; and too many other extras to list. 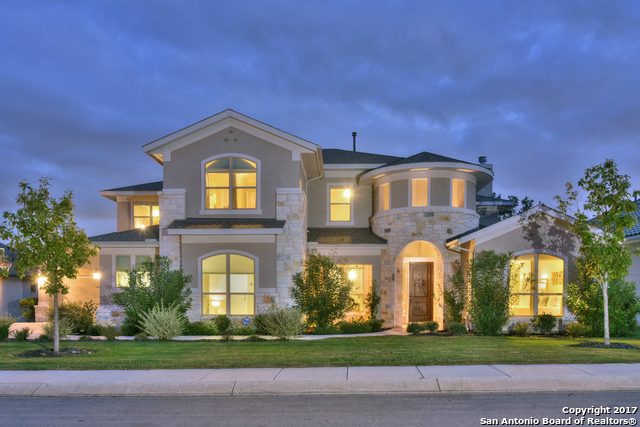 Mo"
"Beautiful custom two story home boasts souring cathedral ceilings, gourmet kitchen with Thermodore cook top, custom selections and much more detail. Stone fireplace all the way to ceiling. Study and media room with generous size bedrooms. This home is truly Stunning! Gorgeous pool and outdoor living space include summer kitchen and fireplace." "Impeccable traditional home located in desirable neighborhood boasts significant upgrades. 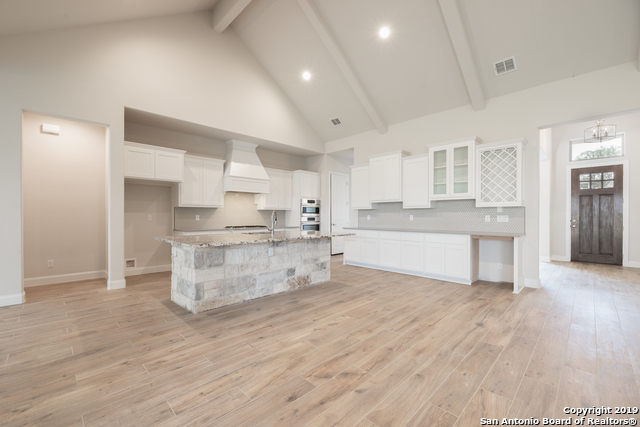 Stunning lighting leads you into the kitchen open to the family room providing the perfect space for entertaining extending to a covered patio equipped with fireplace and outdoor kitchen. Impressive master retreat will not disappoint and the floor plan within this home provides many options for any lifestyle. Professional grade kitchen along with additional flex rooms you must see to believe." "Stunning two story privately located at the end of a quiet cut-de-sac with no neighbors at the back or directly to one side. 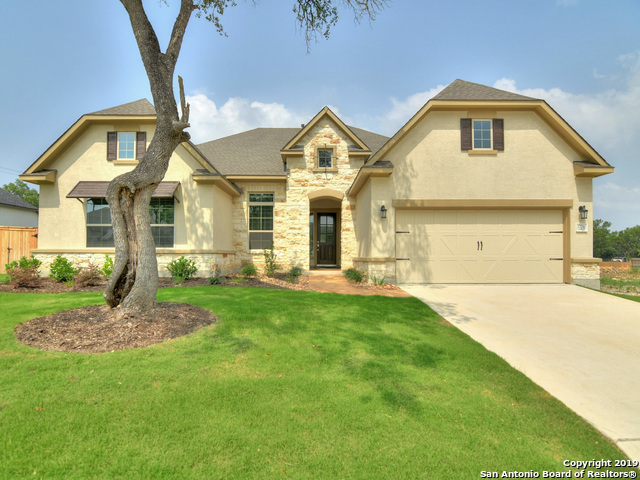 This home boasts a casita, wrap around back covered patio with outdoor kitchen and fireplace. 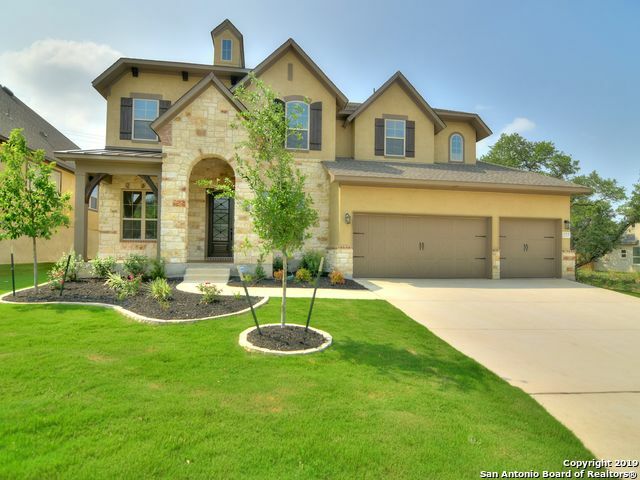 Custom floor plan with cathedral ceilings, grommet kitchen and custom touches throughout. Pictures are examples." "Beautiful single story home boasting cathedral ceiling, formal dining and study. Enjoy your outdoor kitchen large covered patio or cozy up in an amazing master bedroom and bathroom retreat. Custom floor plan with custom finishing touches throughout. Samples pictures are attached"
"The Evanson. 5 Bedroom 2 Story Home on a cul-de-sac lot. Stone and Stucco Exterior. Owner's Retreat Down. 3 full and one half-baths. Large 2-story Family Room with Fireplace. Upgraded Wood, Tile and Carpeted floors. Upgraded Kitchen appliances. Granite Countertops. Covered back porch with outdoor kitchen. 3-car Garage. Landscaped front and back yard with sprinkler system." "Exquisite family estate showcasing beautiful open spacesχc accents.Abundant natural lighting fills the home&the exceptional floorplan inc.family rm w/soaring vaulted ceiling&stacked rock fireplace.True quality&boasting gorgeous wood floors,decor paint&gourmet kitch w/large granite island,extensive cabinetry&stainless steel apps.Large master retreat w/3 spacious guest bedrooms up&perfect spaces for entertaining up w/large game room&sep media rm.Possible guest room down/office w/closet&access t"
"Stunning two story with cathedral ceilings. Generously sized rooms. Master bedroom and bath suite on first floor. Enjoy game room and media room with family. 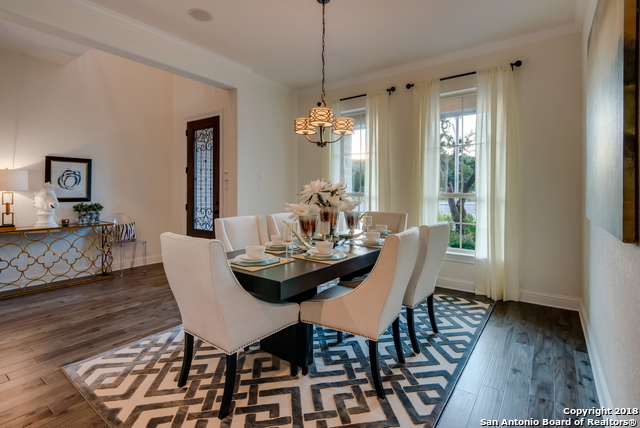 Gourmet kitchen, wood floors, custom cabinets, and many more beautiful features." 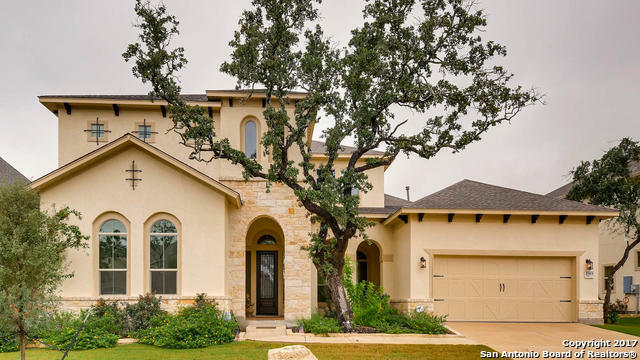 "Fabulous flowing floor plan in this single story home, built on a rare flat homesite. The open kitchen has an expansive granite island perfect for extra seating. The kitchen, family room and dining room open up to the covered outdoor entertaining porch complete with a summer kitchen. The fourth bedroom in this home is a private suite. This home is a must see!"